The Indian bourgeois can now drool over a new Maserati in the flesh. 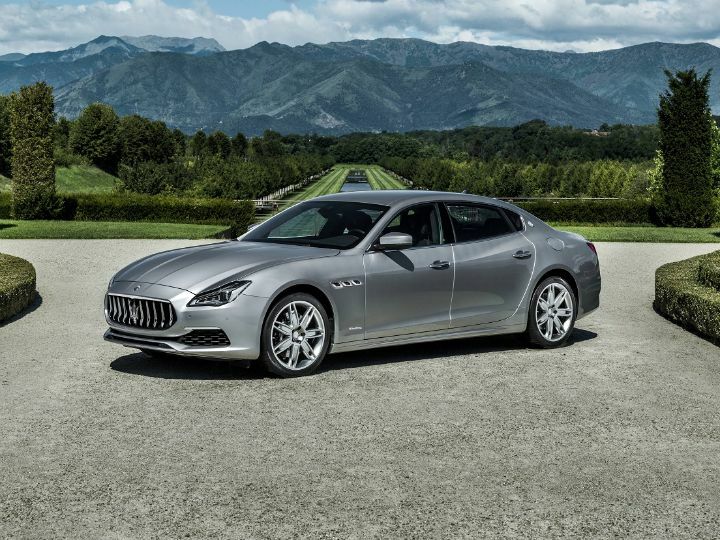 The Italian carmaker has launched the 2018 Quattroporte GTS in India at a price of Rs 2.7 crore (ex-showroom Delhi). Maserati says that this price is an average, based on customisation chosen in either of the two variants - GranLusso and GranSport. Powering the top-of-the-line Quattroporte is a 3.8-litre, twin-turbocharged V8 petrol engine that pumps out 530PS of power and 710Nm of torque, mated to an 8-speed ZF automatic unit, which can identify and change its shifting pattern based on the driving style. The setup is enough to propel the four-door sedan to 100kmph from naught in just 4.7 seconds and reach a top speed of 310kmph. This variant exudes luxury as it flaunts a discreet front spoiler, chrome bumper inserts, body-coloured side skirts and GranLusso badges on the wings. The 20-inch Mercurio light alloy wheels with black brake calipers are the cherry on top. The special exterior treatment on this variant includes aggressive looking central front and side intakes, and aerodynamic splitters, the centre spoiler and side inserts finished in Piano Black. An optional Exterior Carbon Package will add the said finishing on the ORVMs, door handles and the B-pillars. Its list of rivals in India include the Aston Martin Rapide, Bentley Flying Spur and the Porsche Panamera. Out of the lot, it is the Porsche that offers the best value for money. But that isn’t a deal breaker for customers spending more than Rs 2 crore on a car, is it?